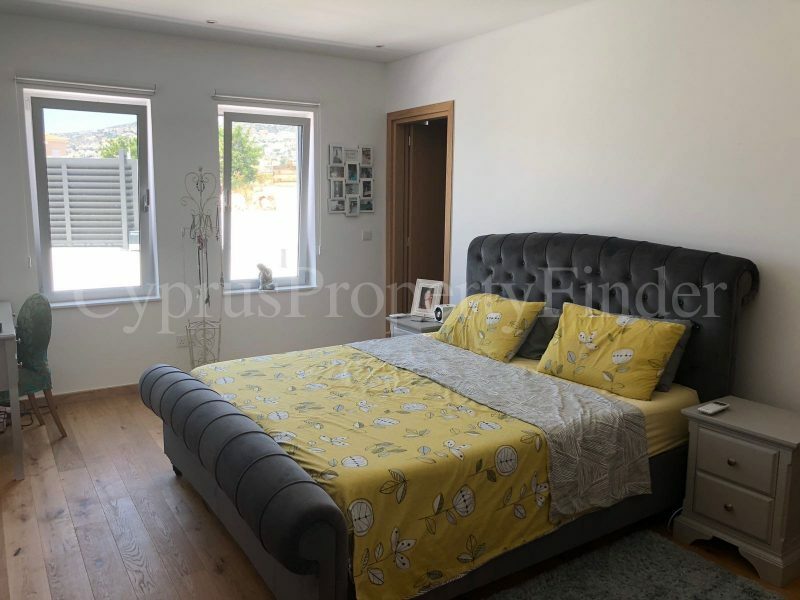 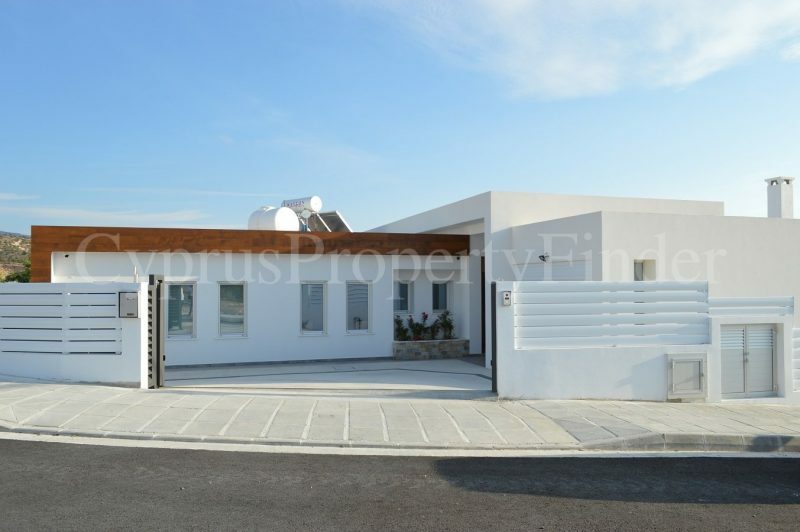 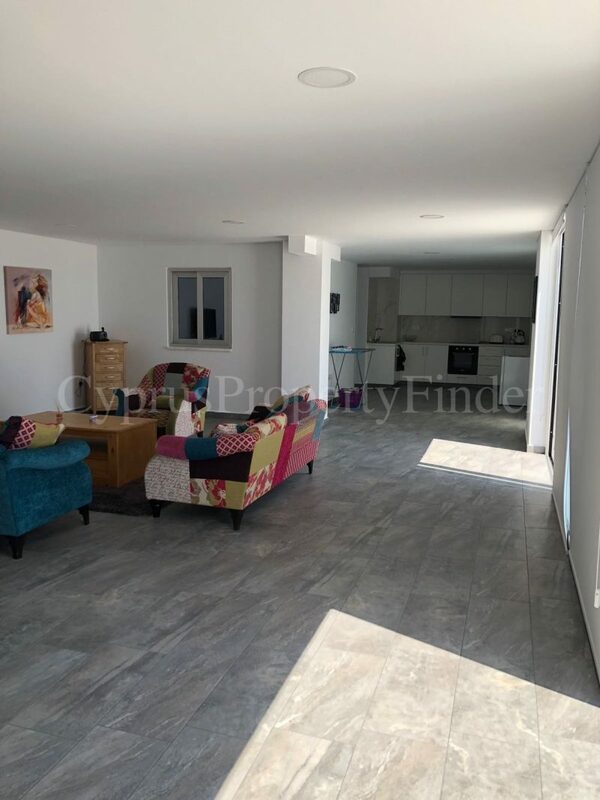 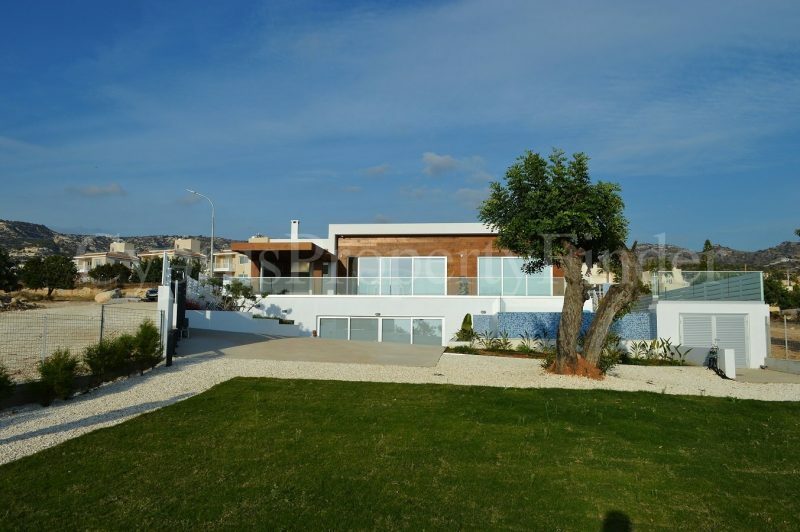 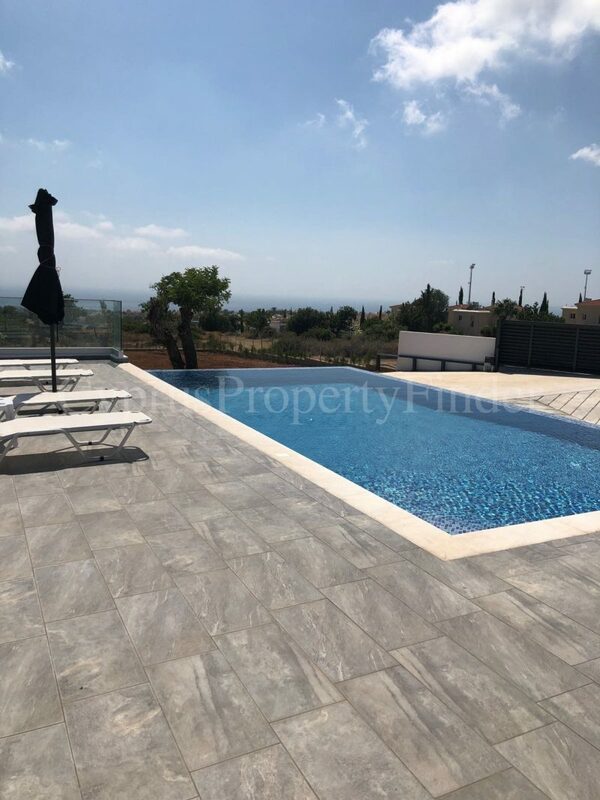 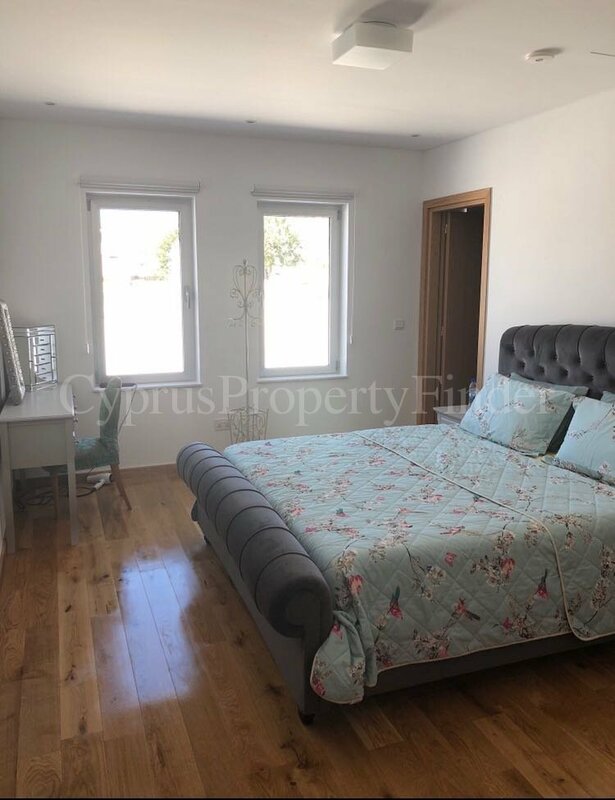 This Impressive and Extremely Spacious Luxury Six Bedroom Property is situated on the slopes of Pegeia village on a private secured plot of 1664 square meters. 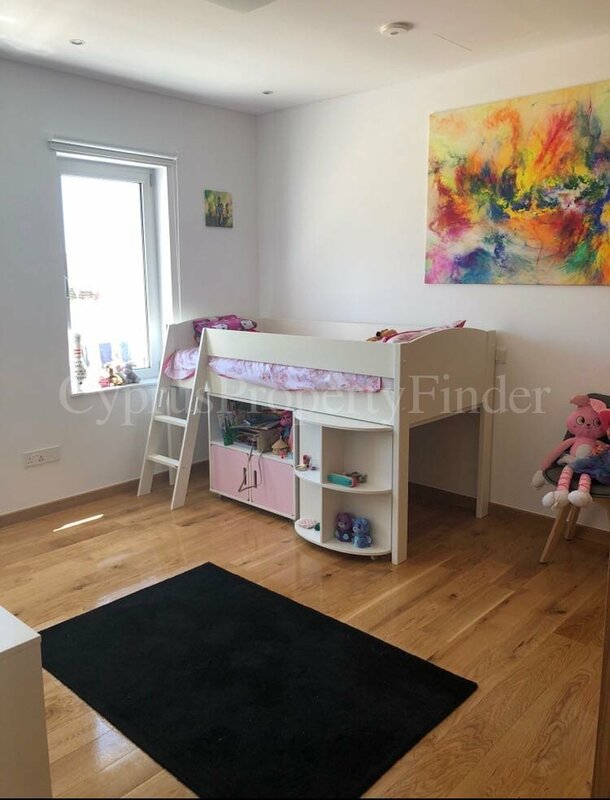 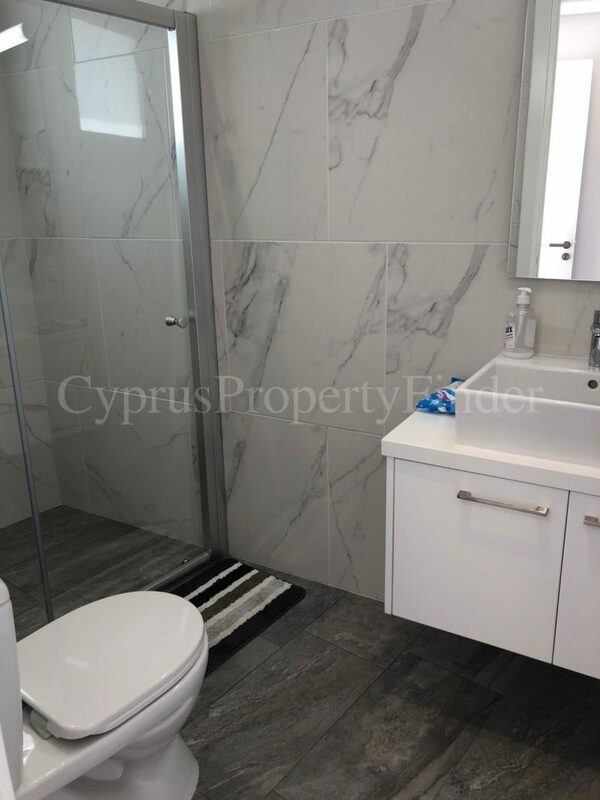 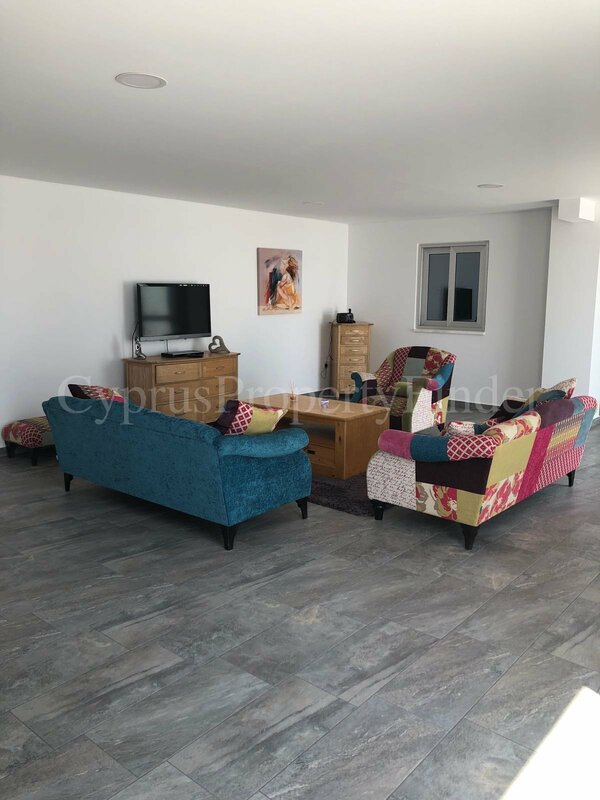 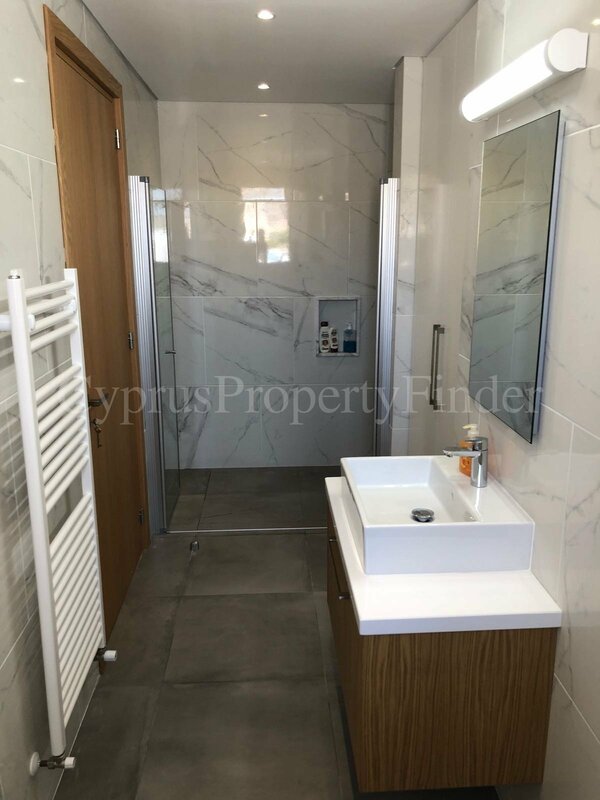 The Property was completed in April 2018 and comprises of Six Large Bedrooms, Two Large Open Plan Living/Dining Areas, Laundry Room, Spacious Modern Kitchen, Alfresco Dining Area with exclusive BBQ area and Outdoor Kitchen. 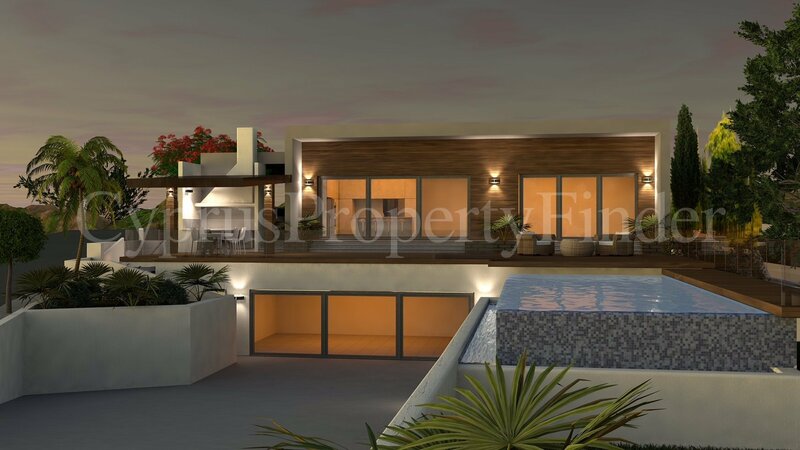 The facade is dressed in hardwood panels creating a warm ambience. 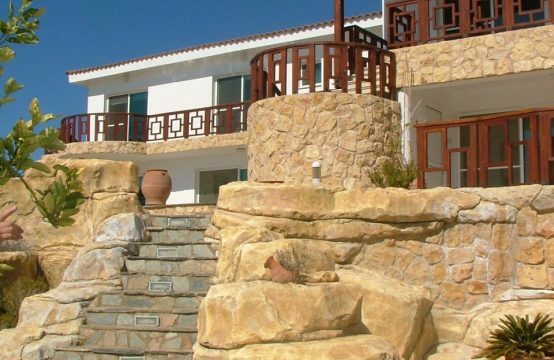 There are Four En-suite Bathrooms, One Family Bathroom and Guest Toilet. This Fantastic Property boasts high specification fittings and finishes and generous stone-finish tiled verandah, Mosaic Overflow Swimming Pool and it is surrounded by Landscaped Private Gardens. 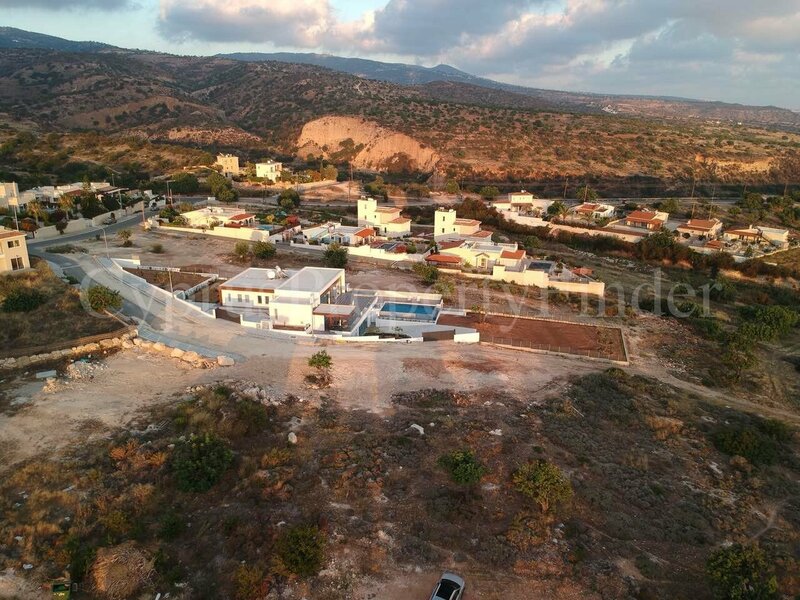 Due to its west facing position, amazing sunsets are an everyday phenomena. 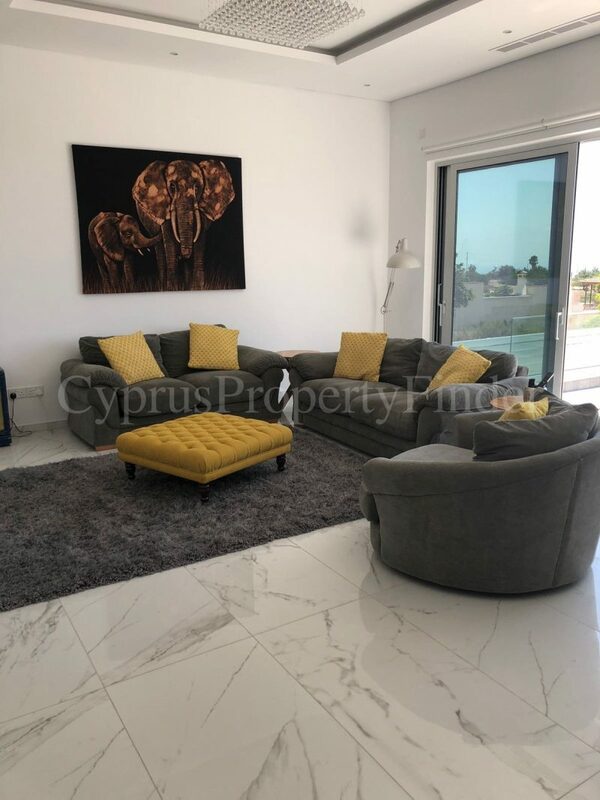 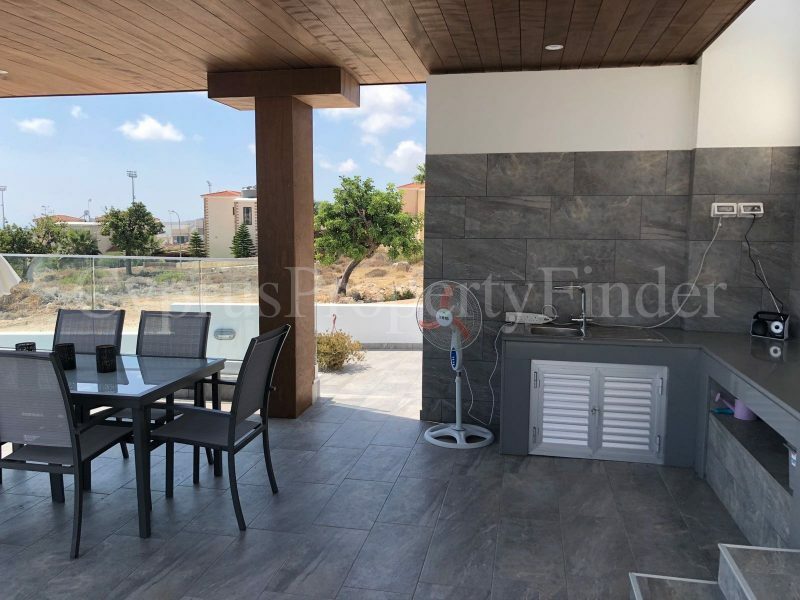 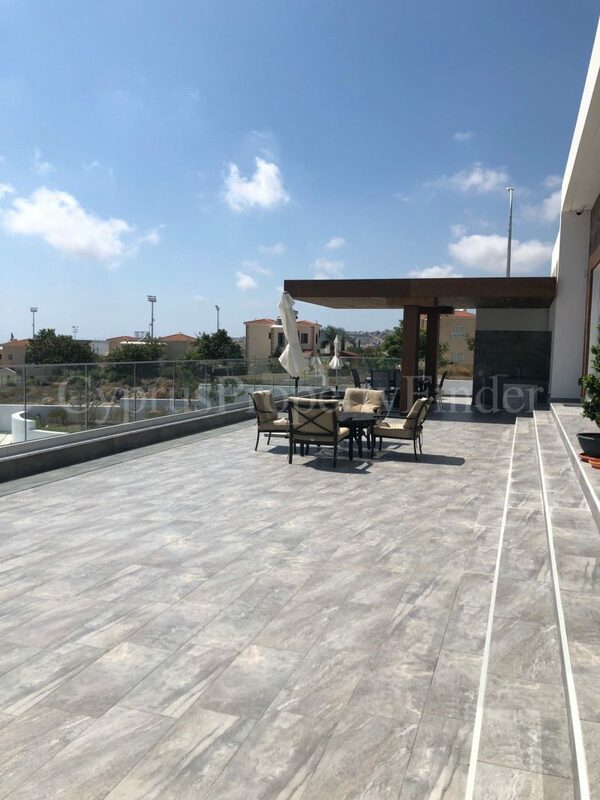 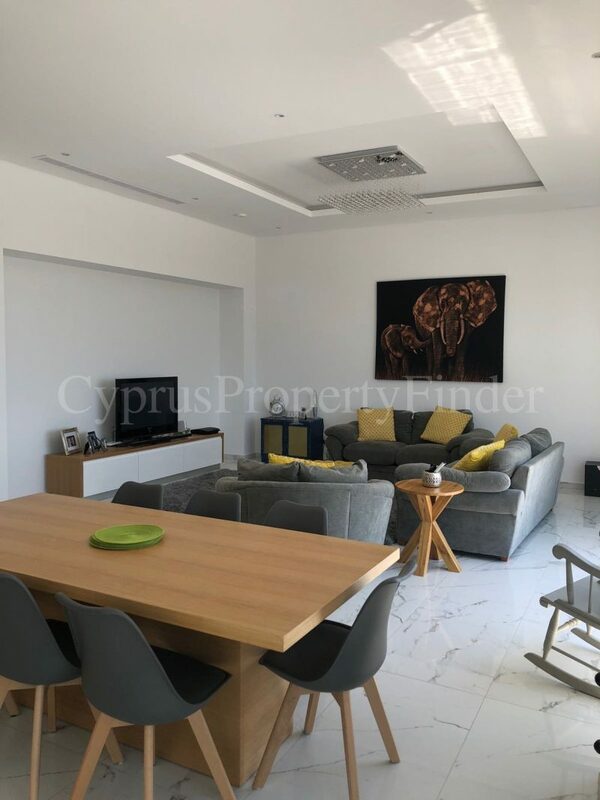 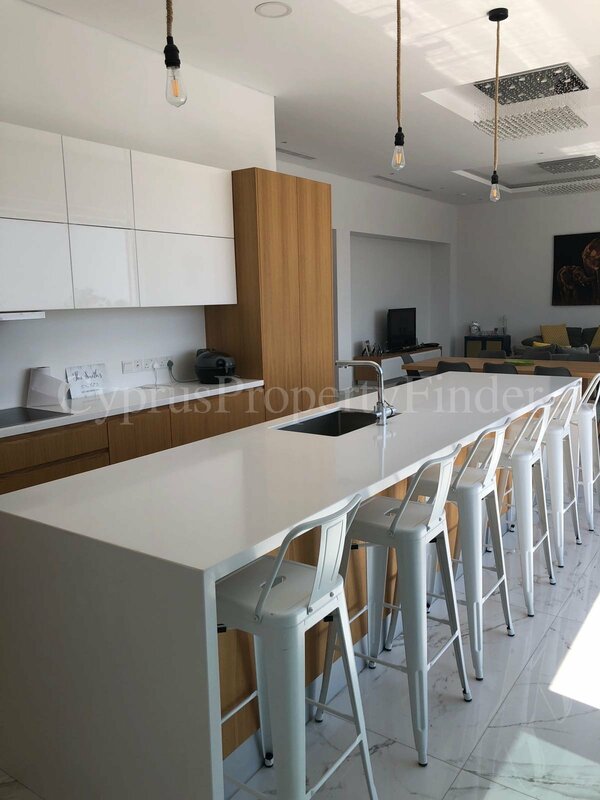 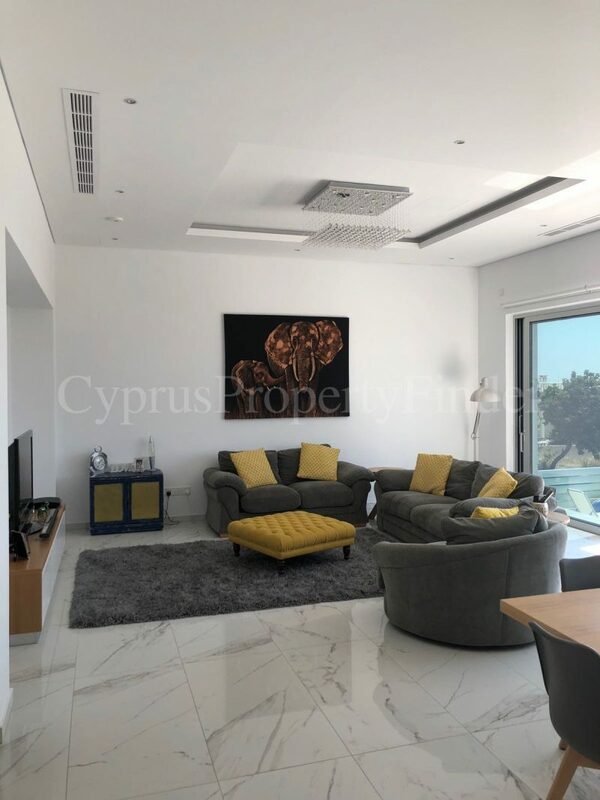 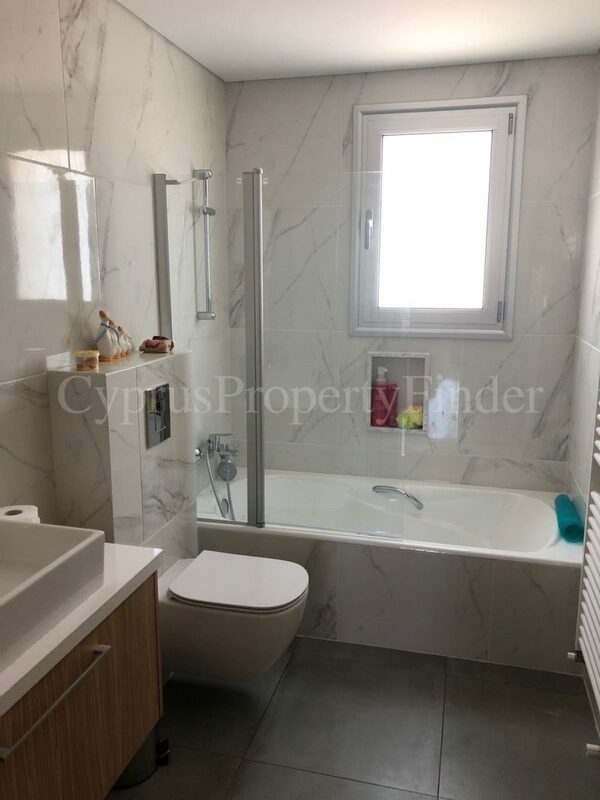 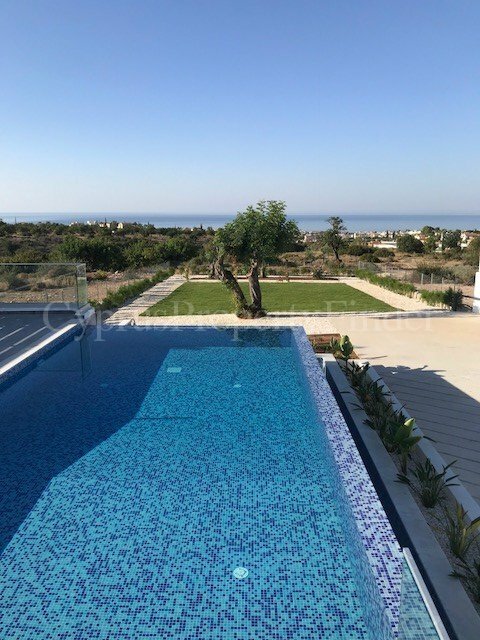 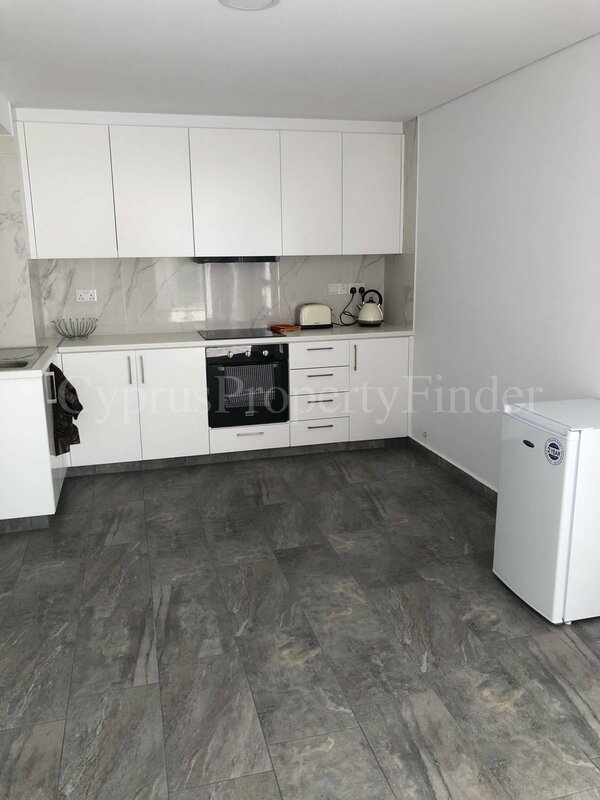 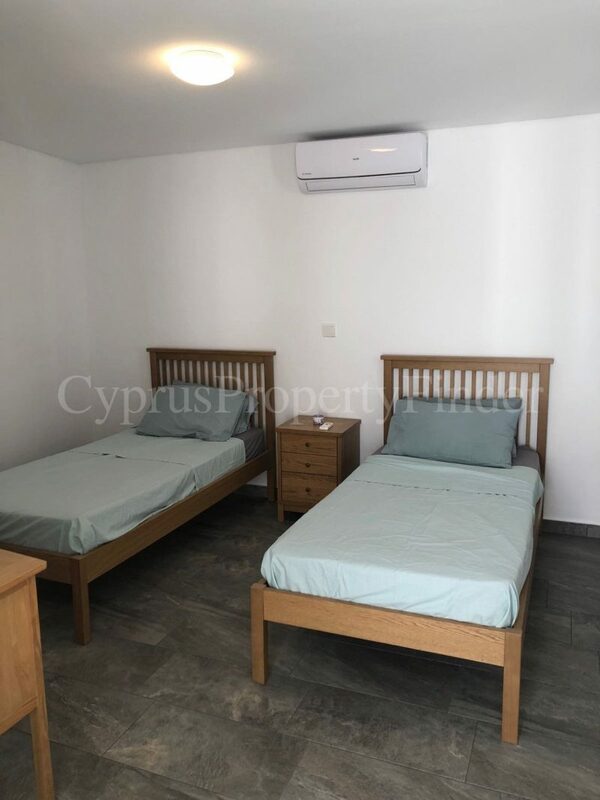 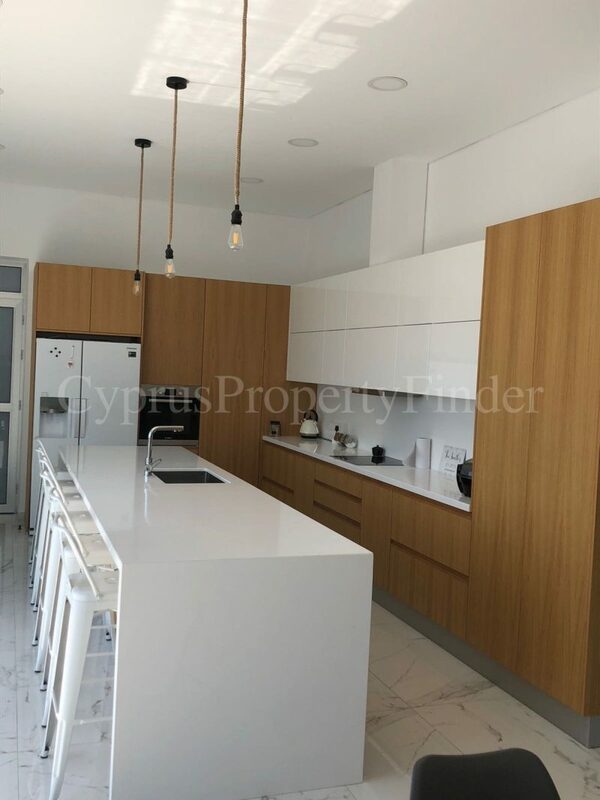 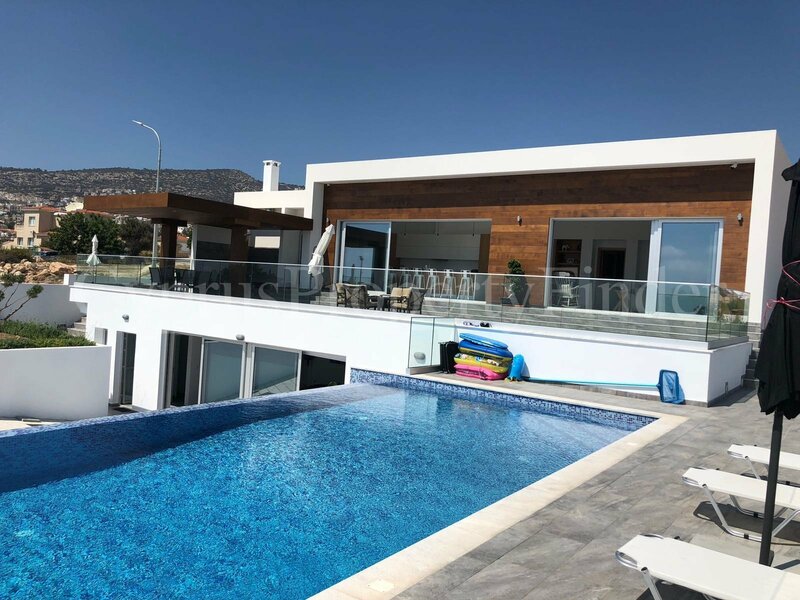 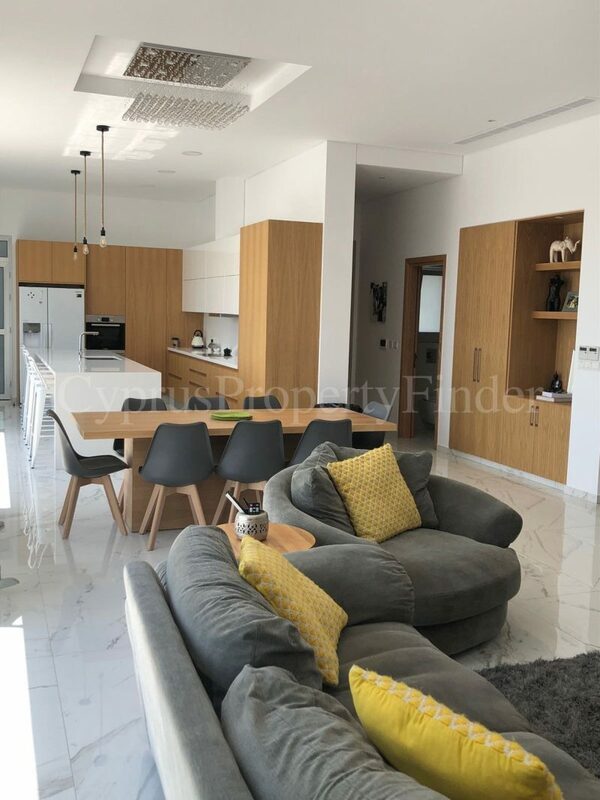 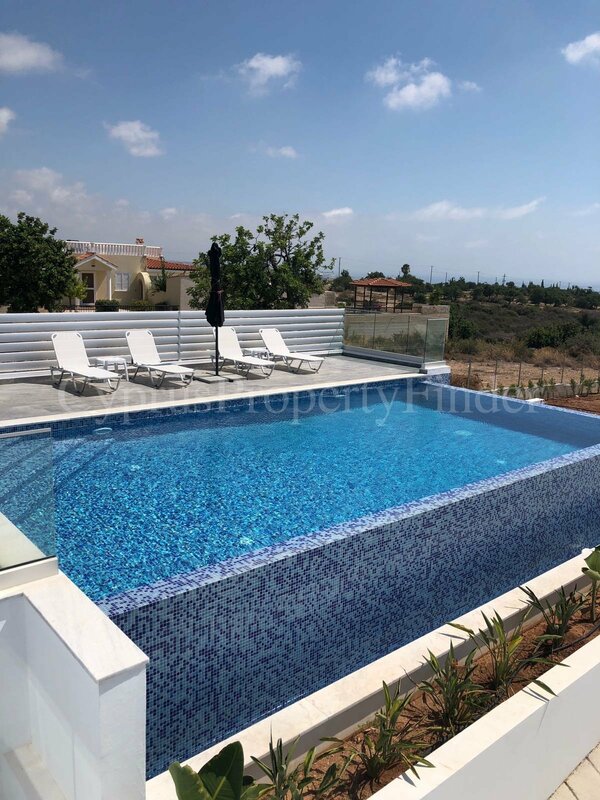 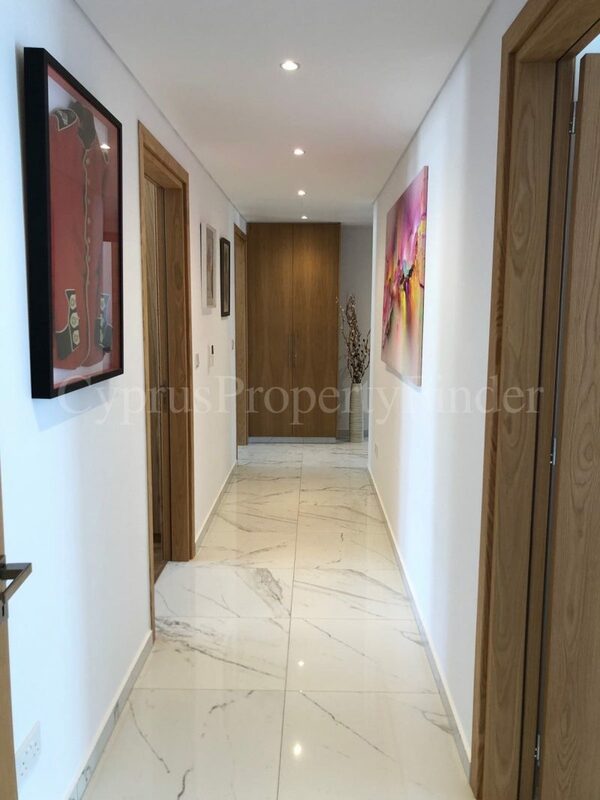 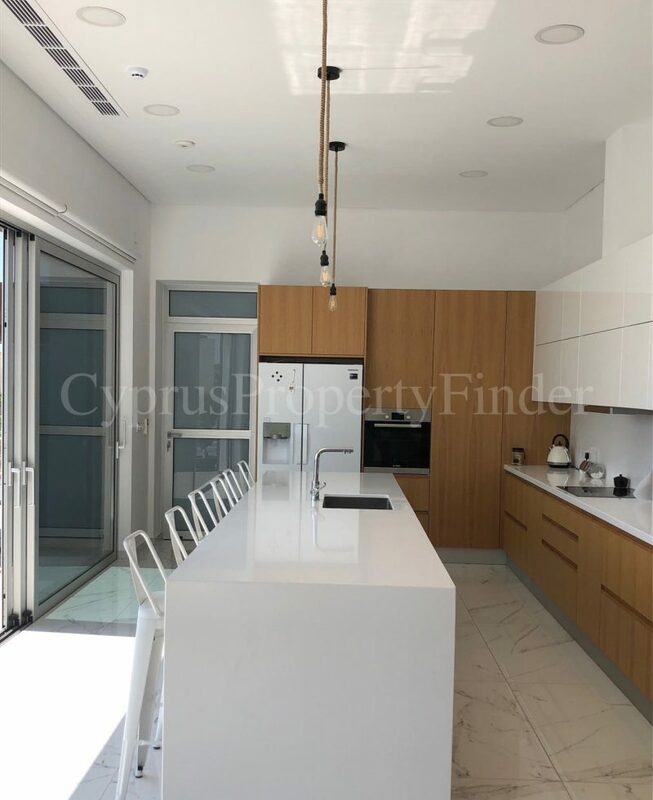 Features: Private Garage, Underfloor Heating, Central Air Conditioning (Mitsubishi), Photovoltaic System Provision, Luxury Finishes, Mosaic Infinity Swimming Pool, Landscaped Gardens with fruit trees and herb garden. 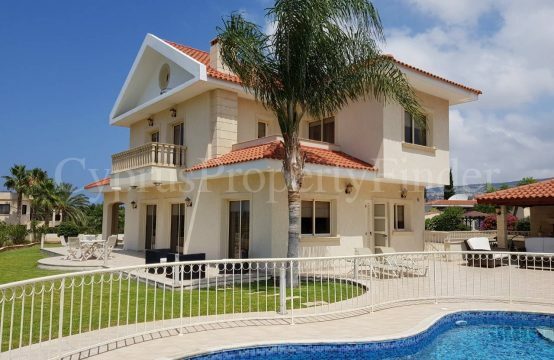 It is located close to Local Amenities and boasts Beautiful Mountain and Sea Views. 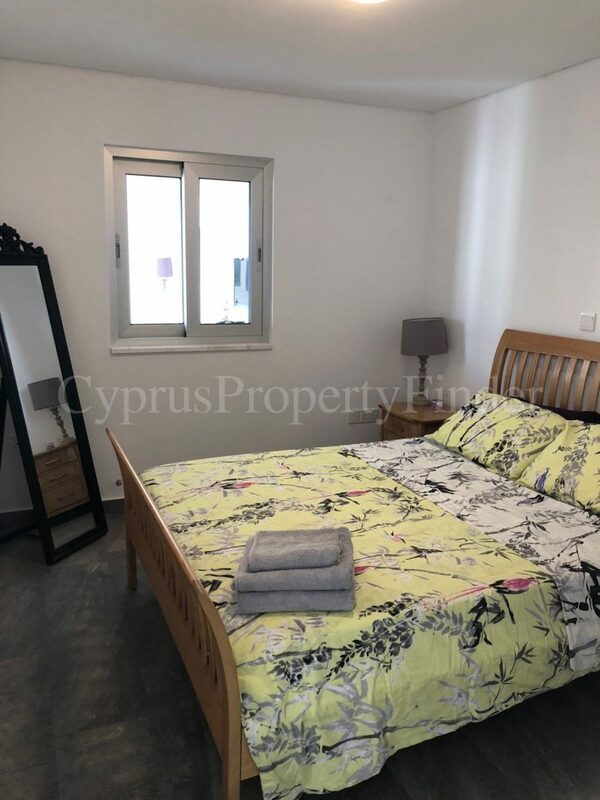 This Fantastic Property is being sold Fully Furnished with White Goods, and really must be viewed to be fully appreciated!